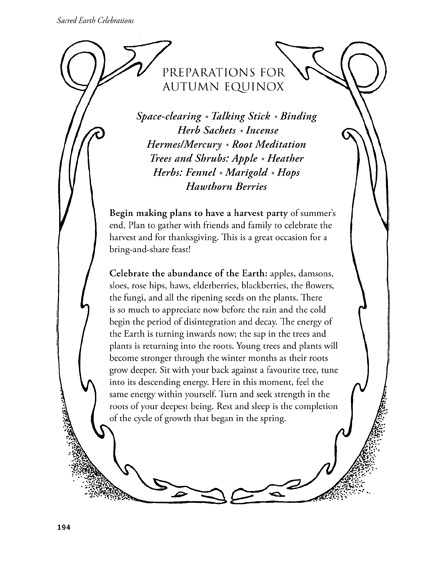 This is a reference book for each of the Celtic Earth festivals, as well as a source book for related activities. 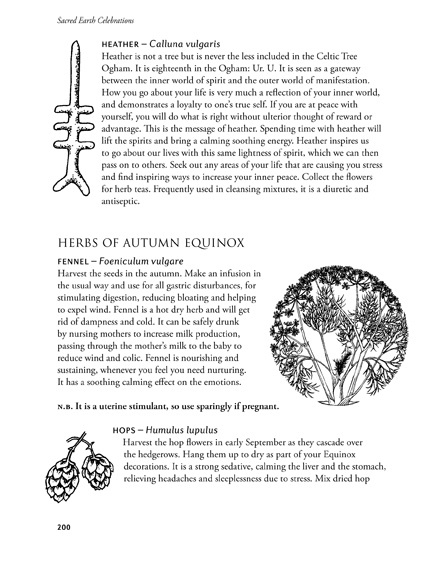 It is an exploration of the many aspects manifest at each of the festivals with ideas for celebrating them. 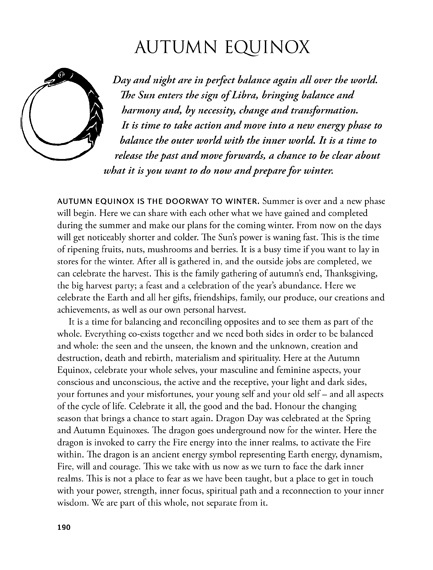 Each festival looks at the underlying energy of the Earth at this time in the year's cycle, and integrates the patterns and clues which have been handed down to us from traditions which have survived from our pre-christian past. 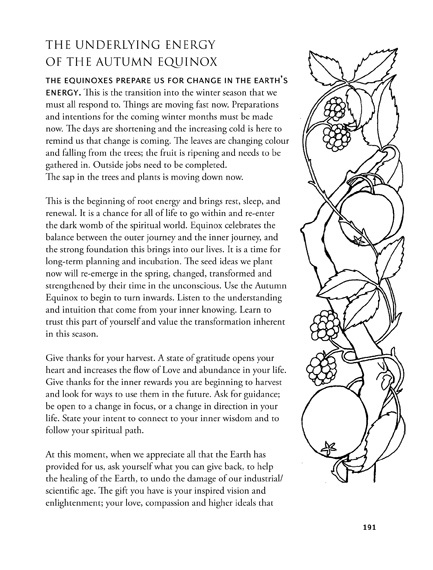 By combining these different aspects, and intuitively reforming them into something new and yet connected, we can create new ways to celebrate the Earth and ourselves and discover ways that will help us to grow and transformation from our old patterns of isolation and separation to a deeper understanding of the unity of life. Thus, these festivals remain part of a living tradition which can be used as an aid to our spiritual process at this time. 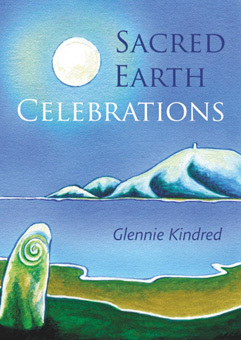 This is a new edition of the much-loved old favourite Sacred Celebrations. It has been many years since its first publication in 2000, and as a direct result of following the Celtic festivals, how I relate to the Earth has deepened and changed during that time. There are many subtle shifts in my understanding, which the re-writing of this new edition has given me the opportunity to integrate. We are now at a time of increasing climate chaos and global change. We are becoming more aware of our impact on the planet and our influence on her delicately balanced eco systems. Never before have we needed so desperately to change our thinking patterns, from seeing our selves as separate from the Earth and each other, to seeing our selves as part of a vast interconnected network of life. Celebrating the Earth and her cycles helps us to re-find our path to a more respectful relationship with the whole of life on Earth. These festivals are part of a living tradition. They link us to our Celtic ancestors who had a deep respect for the Earth, but like all of life on Earth, they are evolving. Each festival helps us to discover more about our selves and our intrinsic connection to her. Celebrating them today we are free from any hierarchy, superstitions, fears, fixed systems or rules that may have come with celebrating them in the past. We are free to celebrate them in whatever way we choose. We can celebrate with others or alone. We can make up our own ceremonies and explore our honest and authentic selves. They bring an exciting edge to our lives as we intuitively re-form them into something new and yet connected, something that belongs to our own times and helps us to explore our own evolving relationship with the Earth and deepen our inherent personal spirituality. Celebrating the Earth Festivals gives us a greater awareness of ourselves and the journey we are on. As we embrace the understanding that our lives are intrinsically interwoven with the Earth's, a new and subtle shift begins to take place in our consciousness. Love and unity become our strength and our guide, and from this perspective, our own healing and the healing of the Earth are one. "The amount of extremely useful and inspirational information presented here is vast, breathtaking in fact. This is the book I have waited to see for a long time, it is, in short, invaluable. My recommendation is never to think about seasonal festival again without at least looking at the book and seeing what advice is has to offer." - Robin Whitlock - Awen magazine. 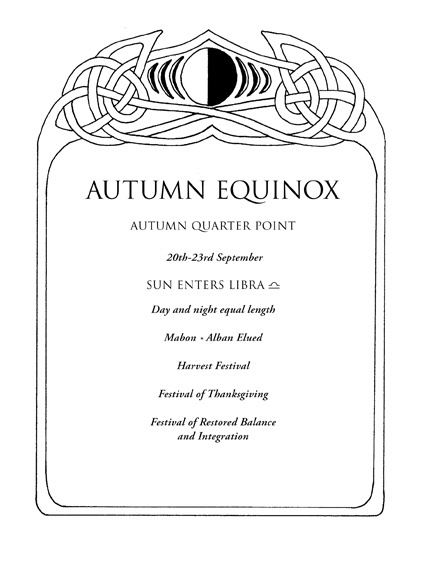 "Here is a chance to reconnect with the rhythm of the seasons following the cycle of the eight Celtic festivals. Celtic is taken as a broad term referring to the UK and Western European roots and traditions and the aim of the book is not to recreate the past, but to celebrate in ways that are creative and relevant to our lives today. The many suggestions for celebration present opportunities for individuals, families and groups to find sacred expression to connect with the great cycle of the year. The abundant - but always tempting - information covers a wide range of activities, from inner journeying to creating sacred circles and shrines, from making masks and corn dollies to suggestion for song and dance. There is no 'theory for the sake of it' and the book is a treasure chest of goodies that will have something to appeal to everyone. The book feels yummy in the hands - like all the best recipe books." - Jan Morgan Wood - Sacred Hoop magazine. "Well worth it! For years now I have been looking for an interesting and factual book on the Celtic year, that isn't published in America by Lewellyn. I've found it here. Gorgeous cover and attractive illustrations throughout, it is THE sourcebook for Sacred Celabrations (as the title suggests). As it is written and published in Britain by a British woman, I feel more of a connection to her words. This book contains all the information you will ever need on each of the eight Celtic festivals, and loads more besides. There are recipes, craft activities and many, many suggestions to help you celebrate the turning of the wheel of the year.